Upgrade to the MC1 plus, now has a informative LCD display showing you how full the battery is and what the charge current is 0V activation function could wake up over-discharged batteries, even those newly drained to 0V. Safely charging. It could charge a battery precisely up to 4.2V, and automatically stop charging when complete. Thus, you no longer worry about whether the battery is overcharged or under charged, achieving a great insurance to battery's lifespan. Over-heating protection, short circuit protection and polarity-reverse protection. 6. Cost-effective. 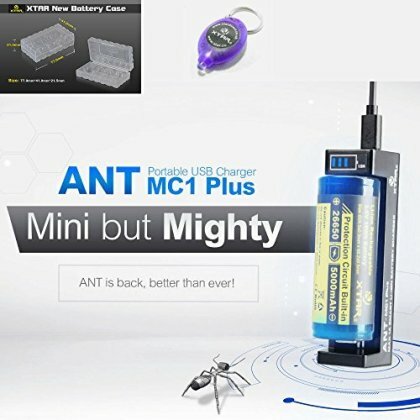 Besides of the above mentioned, only cost a battery's price, you could get a 2-slot charger which could charge 2 batteries with 0.5A simultaneously, and make your plenty dead batteries back to life.